I hope you've all had a good week, mine has been really exciting actually for reasons I can't share right now but hopefully will be able to in a couple of weeks! Eek! 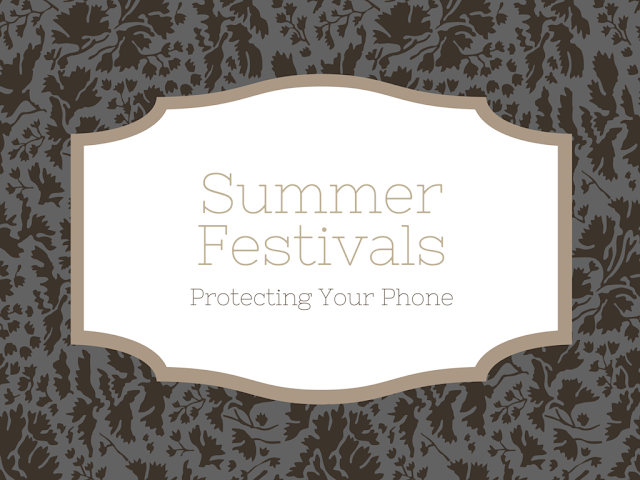 Today I wanted to share the latest installment in my festival series, a solution to making sure you can take as many selfies as you want in the knowledge that if someone nudges into you (as often happens), or if you accidentally drop it, your phone is protected. I'm talking about the Tech21 Impactology Patriot case*. The case has built in drop protection up to 3ft/4m, all round case and screen protection and is dust and splash proof. Pretty awesome for a phone case and perfect for a festival setting in which I know I'm constantly aware of my phone, making sure it's secure and wont be knocked out of my hand by accident within the crowd. I've seen it happen far too many times and it really spoils your time if you have a smashed screen and you want to take photos etc. As you can see there are three parts to the case, the front, back and also a holster which you can use to clip on to your belt or pocket etc. With the case on, your phone isn't going to look bulky or be hard to hold, for such a high level of protection it's surprisingly compact and sits nicely in your hand. I'm definitely planning on taking this case with me this summer and will probably use it after that for things like gigs or concerts etc where it's likely I'll be in a crowd scenario.